What teenaged female pitcher struck out Babe Ruth and Lou Gehrig back to back in an exhibition baseball game? How does a handlebar mustache fit into the history of the American national pastime? 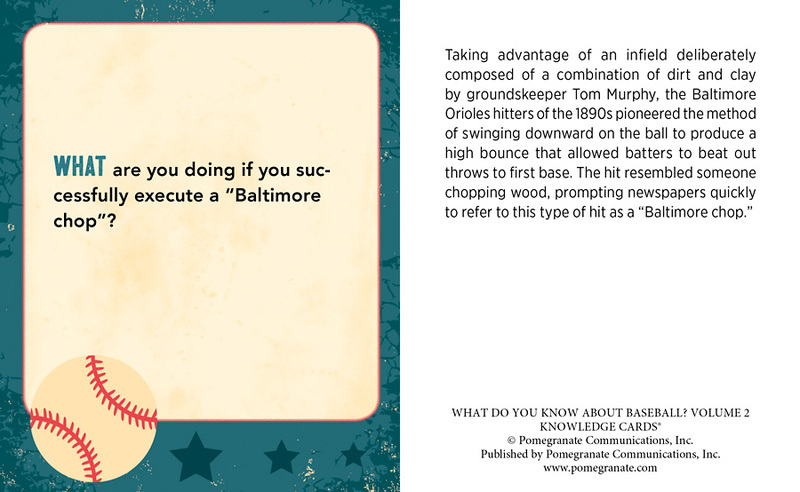 Who was the shortest player ever to step up to the plate in a Major League Baseball game? And why on earth would a batter be happy to see a “dying quail”? 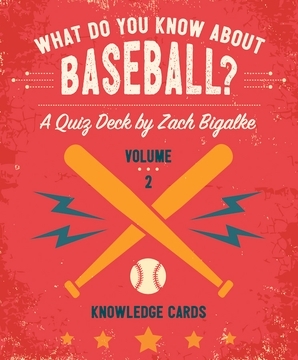 This lively quiz deck of 48 cards is loaded with solid information as well as entertaining trivia and lore. 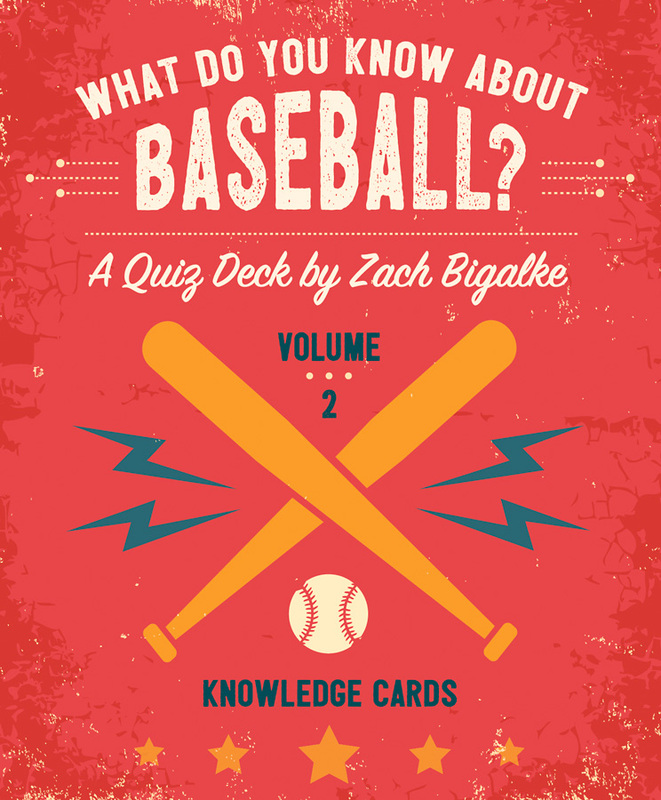 What Do You Know about Baseball? 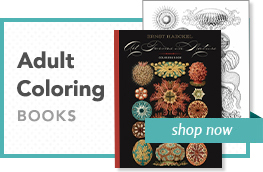 Volume 2 will continue the around-the-bases education begun in Volume 1. 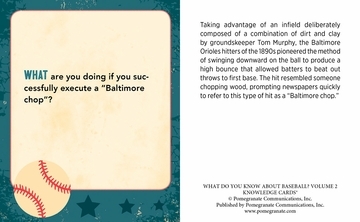 Enjoy it as a raucous multiplayer game or slip off to your dugout alone to delight in obscure baseball statistics. Each card’s question, posed on the front, is answered on the back. 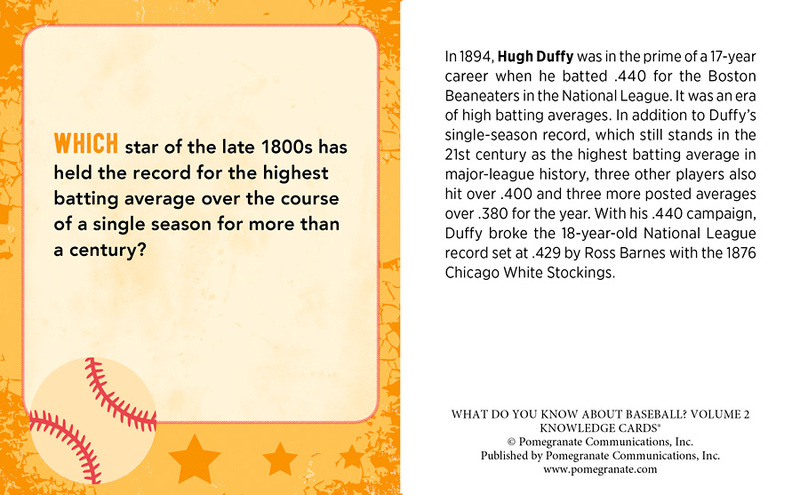 Quick: which star of the late 1800s has held the record for the highest batting average over the course of a single season for more than a century?